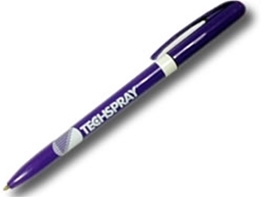 Techspray branded ballpoint pen. Purple with white logo, write blue ink. 25 pens/pk.